Looking for last minute gift items or just want to treat yourself? There’s still time to take advantage of a special 15% discount offer! Use the COUPON CODE: ‘XMAS’ during checkout. Valid until 31 December 2016. This offer excludes Consulting services and Gift vouchers, eBooks by Duncan Carver and product bundles in Special Offers that are already 15% off. Everything else in the SHOP is on sale! For orders outside Australia, we can ship up to 6 x Potting Mix Guides or a combination of Guides and Moon Calendars for A$8 in the one envelope. 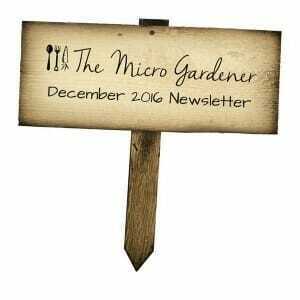 So split the shipping with your gardening friends and save on gifts! I really appreciate you supporting my work with your purchase. 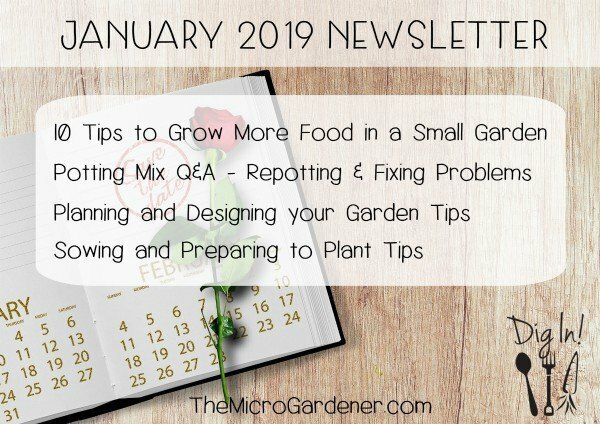 Do you sometimes feel overwhelmed and frustrated with trying to grow your garden successfully? If so, you’re not alone! We all feel that way at times but if it’s an ongoing feeling, it need not be that way. Help is at hand. 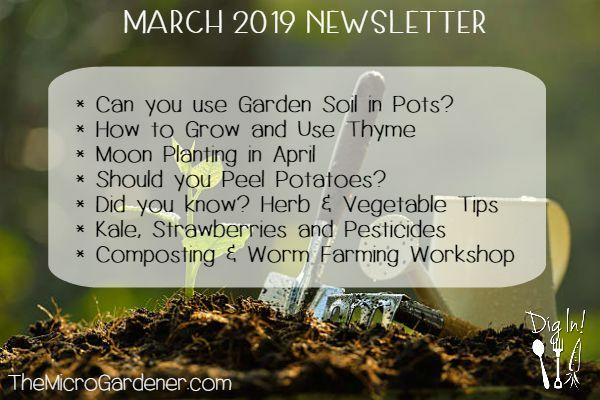 For years I’ve had the pleasure and privilege of teaching students at my workshops, helping them learn how to grow nutrient-dense food gardens with simple ideas and principles. Using skills from my training in Permaculture, sustainable agriculture, horticulture and interior design, I’ve helped my clients design productive garden spaces from allotments and acreage, to rooftops, mobile vans, balconies and backyards. I love sharing what I’ve learned through study, research, experience and practice, while chunking it down to make it easy to digest. I’ve moved 16 times with gardens in several climates, from tiny windowsills to many acres. 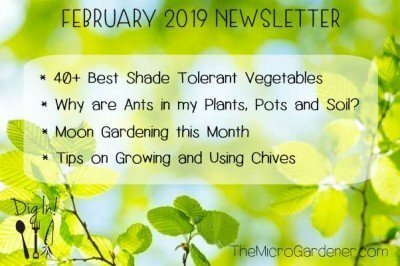 I’ve learned how to grow healthy edible gardens to avoid many common problems and assisted clients around the world to do the same. Behind the scenes for the last few years, I’ve been working hard creating lesson content for new online courses to suit beginner gardeners right through to more advanced classes. Videos of exactly what I do in my garden, step-by-step tutorials and how-to’s, problem solving, designing and easy creative DIY projects. 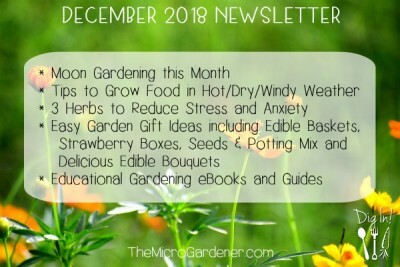 I’m so excited to share this with you, so you too, can enjoy the health rewards and satisfaction of eating food from your own abundant garden. Without the overwhelm. Without spending a lot of time, money or energy. That’s how I grow food and you can too. I’ll be finally rolling these courses and new features out early in 2017. I look forward to launching my ‘Grow Good Health’ courses with you and welcoming you as a member of our online community. I’ll be there personally to take you by the hand and make online learning easy and fun, so you get all your questions answered. Stay tuned for the next update! Imagine … if I could help you solve any problem, WHAT WOULD THAT BE? Please leave your answer in the Comments below or if you prefer, email me directly! If you feel overwhelmed or frustrated about something, I want to know all about it. I’m so looking forward to hearing from you and helping you. Is the weather too hot or cold for planting right now? Here it’s summer in the subtropics and I usually ‘rest’ some garden beds until it gets cooler in autumn. It’s also good practice to crop rotate. If you are in the northern hemisphere or in a cool climate, and it’s too cold to be outdoors growing right now, you can do the same thing. Prepare your soil before planting or grow a temporary cover crop to improve the soil health. 1. Layer some organic matter and mulch. If you have compost, kitchen scraps, prunings, grass clippings, animal manure, dead leaves or any garden green ‘waste’, this is perfect. Lay on top of the garden bed (or your container garden) and top with mulch. Resist the urge to dig it in! If you don’t get rain, then water every week or so until planting. This will encourage the organic materials to decompose, ready for planting. 2. Add a rock mineral blend and/or slow release organic soil conditioner (fertiliser) according to directions. Your soil microorganisms will help turn these minerals nutrients into liquid plant food by the time you’re ready to start planting. 3. 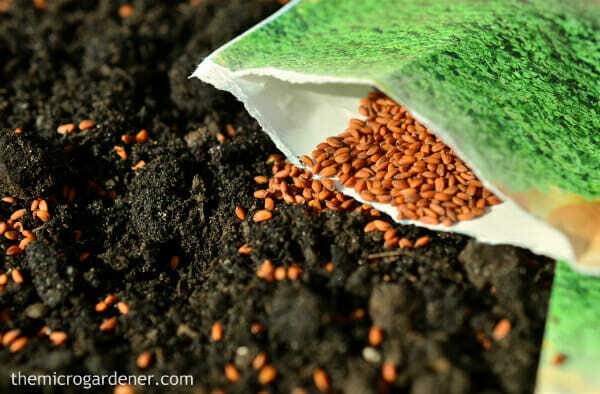 Sow a cover crop, green manure or living ground cover. These are all options that keep your soil microbes alive and suppress weeds. You don’t want to have your garden bed covered in weeds when it comes time for planting what you really want to grow! Avoid bare dirt at all costs! 1. 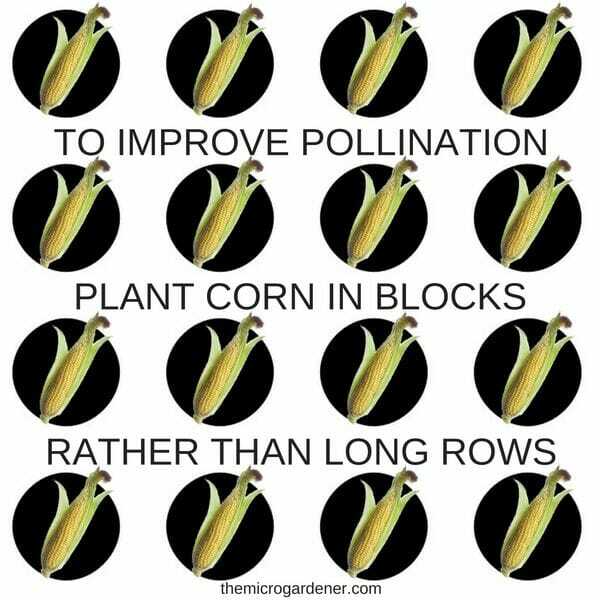 Plant Corn in a Block: A series of short rows in a square formation will likely improve pollination better than a couple of long rows. Why? Corn is wind pollinated and the closer the stalks are to each other, the better pollination you are likely to achieve. The male pollen is on the tassel and needs to come in contact with the female silk for fertilization to occur. If planting a small quantity of corn, plant in blocks rather than 2-3 long rows if possible to improve pollination by the wind. 2. Hand Pollinate: If you are getting poor pollination, you may need to literally give your corn a hand to pollinate all the silks. Every corn kernel has its own strand of silk. So if you have patchy corn with missing or poorly formed kernels, you have a pollination problem. 3. Maximise Growing Space: Use the spaces in between the corn to grow pole or climber beans. The corn stalks are natural ‘stakes’ for the beans. Sow seeds or seedlings at the base of the corn. You can also plant other shade-loving crops like lettuce or spinach to take advantage of the leafy corn ‘umbrella’. 4. Mound Up and Feed Well: Support your corn plant around the roots as it grows. How? By mounding up the base with compost and mulch. This helps provide important nutrients to feed the newly forming cobs. Keep the soil moist too, so the mother plant can support all those ‘babies’ and you’ll be reaping the rewards soon enough! 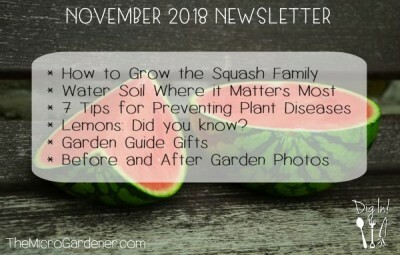 Want to learn how to interplant and use guilds like beans, squash/pumpkins and corn in your garden design? 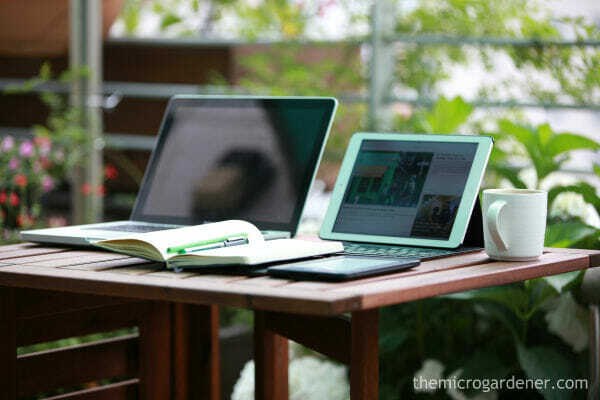 CLICK TO READ: Design Tips for a Productive Garden. The short answer is “Yes!” Like me, you may use wooden planters, build raised garden beds from wood or use natural timber as edging. Wood is attractive and can be long lasting, IF it is looked after. However, it can over time shrink, crack, weather and rot. Most wood preservatives are chemically based. As an organic gardener, I’m also careful about the timber I use to make sure it hasn’t been chemically treated. You don’t want any toxic chemicals leaching into your soil. So think about where yours come from and whether they are treated. What do I use to preserve my wood? Linseed oil. It’s a natural preservative, extracted from flax seeds and this is just one of its many uses. It helps wood keep its natural moisture content and aids in repelling water, so it slows down rotting. You simply brush or rub it onto the timber with a soft cloth. It really brings out the natural grain of the wood too. 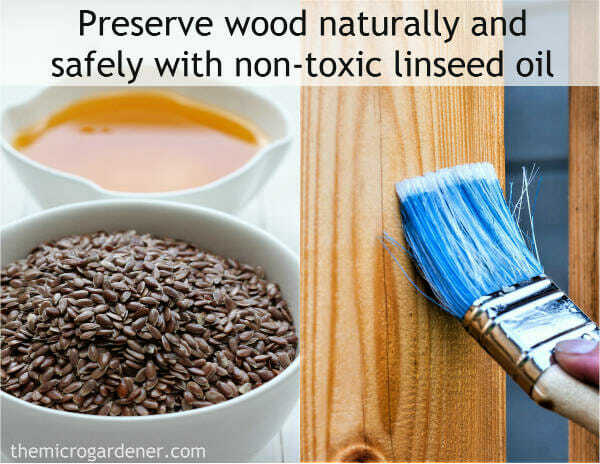 Preserve your wood naturally and safely with linseed oil. This soaks in to stop the wood from drying out and cracking. Linseed oil can take a while to dry though. Depending on your climate, it may be worth adding this preservative before you plant. Then apply again each year, to keep your wood looking good! LEARN MORE about Safe Containers For Growing Food. My homegrown delicious Dutch Cream and Desiree potato varieties. 1. Keep a Record of your Planting Date: Depending on the variety and time of year, potatoes can take 60-90 days to mature. 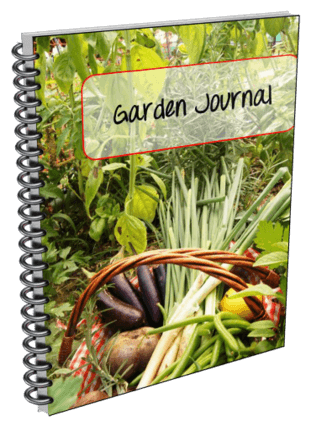 I use a Garden Journal to keep note of dates so I know roughly when my harvest will be. You can get your own downloadable copy here. 2. New Potatoes: If you’re impatient (OK who isn’t, when it comes to digging for those treasured little nuggets), then you don’t have to wait until your potatoes fully mature. 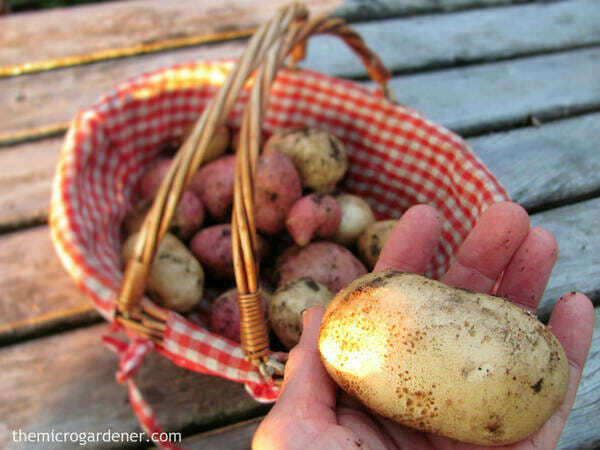 You can dig a few up early as ‘new potatoes’ and enjoy them sooner. Be gentle when removing them from the stems. 3. Stem and Leaf Die Back: A tell tale sign your potatoes are ready is when the stems start to fall over and discolour and the leaves start to die off. If this only happens after a few weeks, you know something is wrong! That’s why you need to keep your planting date handy. Gently pull back the mulch and check around the stems for your hidden treasure. Recycle the dead stems and leaves back into your garden as mulch or add to your compost. Then all you have to do is imagine how you’re going to enjoy your delicious potatoes. Salads, steamed, roasted, soup, baked … yum! I’m off to dig up dinner in my own garden! Making a purchase helps support my work in educating people to grow good health. The Perpetual Moon Calendar is now available on Amazon. 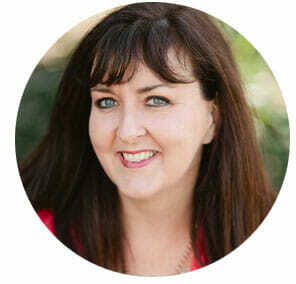 Hi Anne, sorry for my delay in response. I didnt see your reply. Thankyou so much, I will look into these things, and surely I will keep in mind a consultation when its time to create this garden dream of mine- as well as your online courses! Thanks again, keep up the great inspiration! Hi Anne. I do have many questions but I’ll focus on the most prominent for me at present. We will be moving to a new block of newly divided and developed land in Kilmore Victoria by the end of 2017. As the land has already been dug up and flattened prepared for development its left the soil disturbed, dense from compaction and cracked. Its a clay based soil over the recent months with lots of rainfall there are now weeds and grasses growing all over the block…I’m hoping this is part of the restoration process. But after we build and we need to restore and prepare our backyard soil for sowing and cultivation. I won’t have access to the land till the build is finished hoping for mid September. But what steps would you take to restore this clay based soil? Furthermore the sewerage easement runs along the back of the property where I’d hoped to plant some fruit trees…I do not have much room so this would have been the best option. Have you come across any problems with fruit trees over or near easements? Thanks so much for your wisdom and help! Hi Anne, Im not sure if my last comment went through, but Im sorry for my delay in response as I only just noticed your post. Thank you for your advice and insight. 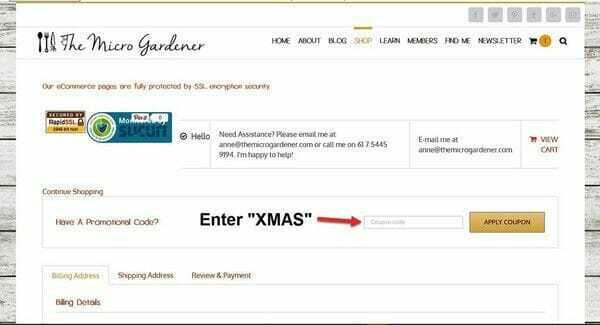 I will surely consider a consultation upon the creation of this garden dream of mine and also Ill be looking out for your online courses. Thanks so much!